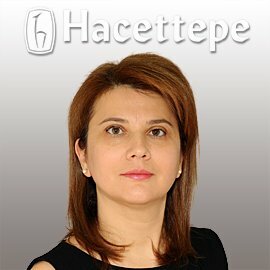 Hacettepe Üniversitesi Tıp Fakültesinden mezun olan Prof. Dr. Sevim ERDEM ÖZDAMAR 1996-1997 yıllarında Ohio State Üniversitesinde Nöromusküler Hastalıklar konusunda eğitim aldı. 1998 yılından itibaren Hacettepe Üniversitesi Tıp Fakültesi Nöroloji Anabilin Dalında çalışmaktadır. 2002 yılında Doçent, 2007 yılında Profesör olmuştur. 2013 itibaren Anabilim Dalı Başkanlığı görevini yürütmektedir. Erdem S, Saygı S, Ciğer A, Selekler K. Seizures with negative phenomena. Clinical Neurology and Neurosurgery 1995;97:36-38Erdem S, Kansu T. Alexia without either agraphia or hemianopia in temporal lobe lesion due to herpes simplex encephalitis. Journal of Neuro-Ophthalmology 1995;15:102-104. Topaloğlu H, Tan E, Dinçer P, Erdem S, Akçaören Z. Good clinical observation is essential before clinical molecular studies. Lancet 1995;346:1490. (letter)Tan E, Topaloğlu H, Sewry C, Zorlu Y, Noam I, Erdem S, D'Alessandro M, Muntoni F, Dubowitz V. Late onset muscular dystrophy with cerebral white matter changes due to partial merosin deficiency. Neuromuscular Disorders 1997; 7:85-89. Erdem S, Mendell JR. Peripheral neuropathies in the elderly: Findings on nerve biopsy (Commentary). Neurology Network Commentary 1997;1:80-84. Erdem S, Freimer ML, O'Dorisio T, Mendell JR. Procainamide-induced chronic inflammatory demyelinating polyradiculoneuropathy. Neurology 1998; 50:824-825. Erdem S, Sahenk Z, Mendell JR. Fate of Schwann Cells in CMT1A and HNPP: Evidence for Apoptosis. J Neuropathol Exp Neurol 1998; 57: 635-642. Saka E, Elibol B, Erdem S, Dalkara T. Compartmental changes in expression of c-Fos and FosB proteins in intact and dopamine depleted striatum after chronic apomorphine treatment. Brain Res 1999; 825: 104-114. Periquet M, Novak V, Collins M, Nagaraja HN, Erdem S, Nash S, Freimer M, Sahenk Z, Kisel JT, Mendell JR. Painful sensory neuropathy: Prospective evaluation using skin biopsy. Neurology 1999;53:1641-1647. Tanyel FC, Erdem S, Tan E, Buyukpamukcu N. Among cremaster muscles those obtained from boys with undescended testis reveal significant neurologic alterations. BJU Int 2000;85:116-119. Tanyel FC, Erdem S, Altunay H, Ergün L, Özcan Z, Alanay B, Buyukpamukcu N, Tan E. Distribution and morphometry of fiber types in cremaster muscles of with inguinal hernia or undescended testis. Pathol Res Pract 2000; 196:613-617. Arslan Ş, Erdem S, Kılınç K, Sivri A, Tan E. Free radical changes in rat muscle tissue after exercise. Rheumatology Int. 2001;20:109-112. Tanyel FC, Erdem S, Büyükpamukçu N, Tan E. Cremaster muscle is not sexually dimorphic, but those from boys with undescended testis reflects alterations related to the autonomic innervation. J Ped Surg. 2001;36:877-880. Erdem S, Demirci M, Tan E. Focal myopathy mimicking posterior interosseous nerve syndrome. Muscle Nerve 2001; 24 :969-972. Sarıoğlu-Büke A, Erdem S, Gedikoğlu G, Tanyel FC. Capsaicin effectively prevents apoptosis in contralateral testis after ipsilateral testicular torsion. BJU International 2001;88:787-789. Serdaroglu A, Gucuyener K, Erdem S, Kose G, Tan E, Okuyaz C. Role of apoptosis in Duchenne's muscular dystrophy. J Child Neurol. 2002;17:66-8. Soykan I, Cetinkaya H, Erdem S, Tan E, Aydin F, Bahar K, Ozden A. Mitochondrial neurogastrointestinal encephalomyopathy: diagnostic features of two patients. J Clin Gastroenterol. 2002;34:446-8. Arslan S, Erdem S, Sivri A, Hascelik Z, Tan E. Exercise-induced apoptosis of rat skeletal muscle and the effect of meloxicam. Rheumatol Int. 2002;21:133-6. Tanyel FC, Erdem S, Büyükpamukçu N, Tan E. Smooth muscle within incomplete obliterations of processus vaginalis lacks apoptotic nuclei. Urologia Internationalis 2002;69:42-5. Uluç K, Arsava M, Erdem S, Tan E. Proximal myopathy with diffuse white matter involvement in myotonic dystrophy type I. J Neurol 2002; 249: 629-630. Nelis E, Erdem S, Tan E, Löfgren A, Ceuterick C, De Jonghe P, Van Broeckhoven C, Timmerman V and Topaloglu H. A novel homozygous missense mutation in the myotubularin-related protein 2 gene associated with recessive Charcot-Marie-Tooth disease with irregularly folded myelin sheaths, Neuromusc Disord 2002; 12: 869-873. Anlar B, Deda G, Erdem S, Tan E, Korkusuz P. Chronic acquired polyneuropathy in infancy . J Neurol 2002; 249: 1469-1471. Ozkan O, Safak T, Vargel I, Demirci M, Erdem S, Erk Y. Reinnervation of denervated muscle in a split-nerve transfer model. Ann Plast Surg 2002; 49:532-40. Nelis E, Erdem S, Van den Bergh P.Y.K, Belpaire-Dethiou M.-C., Ceuterick C, Van Gerwen V, Cuesta A, Pedrola L, Palau F, Gabreels-Festen A.A.W.M, Verellen C, Tan E., Demirci M., Van Broeckhoven C., De Jonghe P, Topaloglu H, and Timmerman V. Mutations in GDAP1: Autosomal recessive CMT with demyelination and axonopathy . Neurology 2002; 59: 1865-1872. Kocaefe Ç, Erdem S, Özgüç M, Tan E. Four novel Thymıdıne Phosphorylase Gene Mutations In Mitochondrial Neurogastrointestinal Encephalomyopathy Syndrome (MNGIE) Patıents. Eur J Human Genet 2003; 11:102-4. Demir E, Irobi J, Erdem S, Demirci M, Tan E, Timmerman V, De Jonghe P, Topaloğlu H. Andermann syndrome in a Turkish patient. J Child Neurol 2003; 18: 76-9. Senderek J, Bergmann C, Stendel C, Kirfel J, Verpoorten N, De Jonghe P, Timmerman V, Chrast R, H G Verheijen M, Lemke G, Battaloglu E, Parman Y, Erdem S, Tan E, Topaloglu H, Hahn A, Muller-Felber W, Rizzuto N, Fabrizi GM, Stuhrmann M, Rudnik-Schoneborn S, Zuchner S, Michael Schroder J, Buchheim E, Straub V, Klepper J, Huehne K, Rautenstrauss B, Buttner R, Nelis E, Zerres K. Mutations in a Gene Encoding a Novel SH3/TPR Domain Protein Cause Autosomal Recessive Charcot-Marie-Tooth Type 4C Neuropathy. Am J Hum Genet. 2003 73:1106-19. Gurer G, Erdem S, Kocaefe C, Ozguç M, Tan E. Expression metalloproteinases in vasculitic neuropathy: Rheumatol Int. 2004; 24:255-9. Kayikcioglu A, Karamursel S, Demirci M, Erdem S, Kecik A. A new epineural nerve repair technique with external metallic circle. Surg Neurol. 2004;62:387-92. Demir E, Bomont P, Erdem S, Cavalier L, Demirci M, Kose G, Muftuoglu S, Cakar AN, Tan E, Aysun S, Topcu M, Guicheney P, Koenig M, Topaloglu H. Giant axonal neuropathy: clinical and genetic study in six cases. J Neurol Neurosurg Psychiatry. 2005; 76:825-32. Karakoc E, Erdem S, Sokmensuer C, Kansu T. Encephalopathy due to carnitine deficiency in an adult patient with gluten enteropathy. Clin Neurol Neurosurg. 2005 Nov 30. Uluc K, Temucin CM, Ozdamar SE, Demirci M, Tan E . Near-nerve needle sensory and medial plantar nerve conduction studies in patients with small-fiber sensory neuropathy. Eur J Neurol. 2008 Jun 27. Temucin CM, Buyukserbetci G, Ozdamar SE, Saygi S.A rare phenotype: progresive myoclonic epilepsy with lower motor neuron involvement. Epilepsia. 2008;49:1809-12. Ozdamar SO, Bektaş S, Erdem Ozdamar S, Gedikoğlu G, Doğan Gün B, Bahadir B.Nuclear morphometric analysis in gastrointestinal stromal tumors: a preliminary study. Turk J Gastroenterol. 2007;18:71-6. Vargel I, Demirci M, Erdem S, Firat P, Sürücü HS, Tan E, Keçik A. A comparison of various vascularization-perfusion venous nerve grafts with conventional nerve grafts in rats. J Reconstr Microsurg. 2009 ;25:425-37. Balci-Hayta B, Erdem-Özdamar S, Dinçer P. Overexpression of amyloid beta precursor protein enhances expression and secretion of ST6Gal1 in C2C12 myogenic cell line. Cell Biol Int. 2011 Jan;35(1):9-13. Cetin N, Balci-Hayta B, Gundesli H, Korkusuz P, Purali N, Talim B, Tan E, Selcen D, Erdem-Ozdamar S, Dincer P. A novel desmin mutation leading to autosomal recessive limb-girdle muscular dystrophy: distinct histopathological outcomes compared with desminopathies. J Med Genet. 2013 Jul;50(7):437-43. doi: 10.1136/jmedgenet-2012-101487. Epub 2013 May 18.